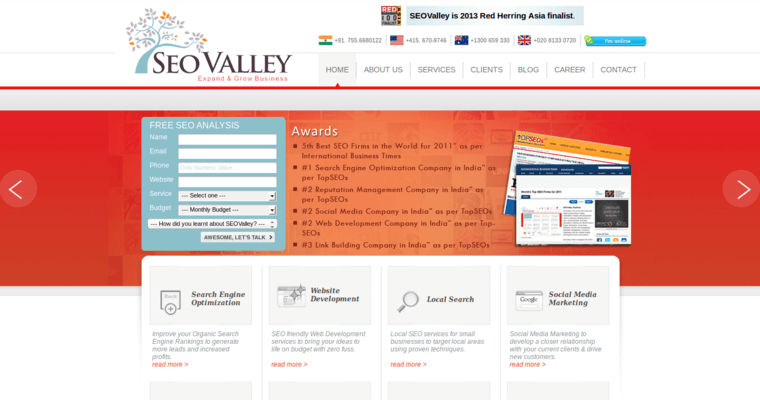 SEOValley is an international marketing company that offers services globally to its clients. The company takes a results-oriented approach to its search engine optimization strategies, and uses various measurement and management tools to ensure that its SEO campaigns are having their intended results. SEOValley's team also works to stay on top of the latest trends to ensure that its SEO designs are always ready for each change to search engine algorithms. The company not only offers SEO marketing, but also provides pay per click advertising campaign development and conversion rate optimization, to ensure its clients get the best bang for their advertising and marketing buck. The company also provides website design and online reputation management services to ensure that clients make and maintain the best impression possible online.